If you are new to research, you may not be aware that Curtin Library has a range of tools and resources that can help you throughout the research process. This LibGuide will point you to a range of information and links to relevant and useful sources. 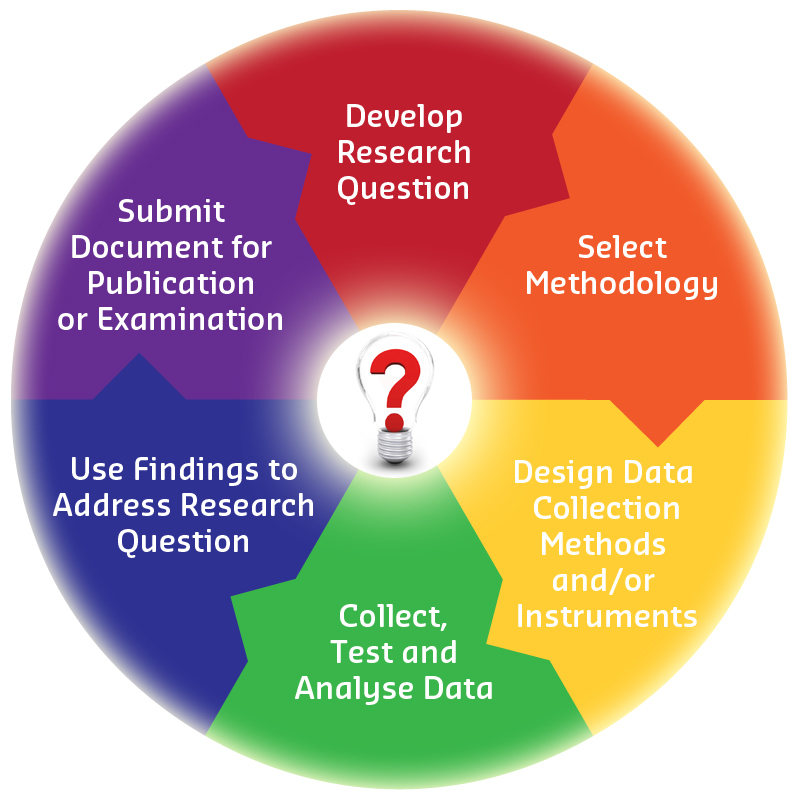 The research cycle is rarely linear and often some (or all) stages will need to be revisited. Remember too that different disciplines and research topics may employ different approaches to research, which will impact on the process. Click on each stage for some of the key considerations. What is the problem, or topic, you wish to investigate? What background reading have you done? How will you focus your topic? How will you approach the question? What information do you need to address the question? Which methodology or methodologies will you use? What theoretical framing will be used (if appropriate)? Do you have access to the necessary equipment? What techniques will you use to collect the data? What is your plan to manage the data? How will you identify all the relevant literature? What stages will be automated and what will be manual? How will you break down, analyse and interpret the data? How do the findings relate to existing literature? Why are the findings significant or important? What areas can you identify for further investigation? How will you disseminate your research findings? Where will you publish your findings? How will you maximise the dissemination and impact of your research findings? The Library offers workshops for staff and postgraduate students on resources and tools to support research.